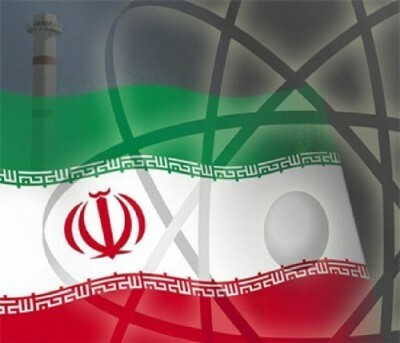 The official said elements that need to be settled include monitoring, the status of the Natanz and Fordow enrichment facilities and the under-construction Arak heavy-water reactor, and Iran’s uranium stockpiles. However, the official said that she was still hopeful of meeting a deadline of late July for conclusion of a comprehensive agreement. (Iranian Foreign Minister) Minister Zarif and I, together with the Political Directors of China, France, Germany, Russia, the United Kingdom and the United States, just finished a second round of talks with Iran in our ongoing diplomatic effort to seek a comprehensive agreement on the Iranian nuclear issue…. Based on the framework for the negotiations established at our meeting last month, we had substantive and useful discussions covering a set of issues, including enrichment, the Arak reactor, civil nuclear cooperation and sanctions. We will meet again on 7 to 9 April 2014 in Vienna and continue our work on the substantial areas which we intend to cover in a comprehensive agreement. In the meantime, technical experts will meet to further elaborate on the details of the relevant issues. The next round of high-level talks will be preceded by technical discussions from April 3 to 5. UPDATE 1415 GMT: Sign of optimism from Iranian Foreign Minister Mohammad Javad Zarif…. Iran and the 5+1 Powers (US, Britain, Germany, Russia, China, and France) resumed talks on a comprehensive nuclear deal in Vienna on Tuesday. Little detail was offered on the discussions; however, Iran’s lead nuclear negotiator, Deputy Foreign Minister Abbas Araqchi, said the dates of April 7-9 has already been set for the third round of talks. Araqchi said the negotiations on Tuesday were “long and intensive” on three unnamed topics, with a fourth being considered on Wednesday. The spokesman for the 5+1 Powers, Michael Mann, said the meetings were “constructive”. The European Union’s Catherine Ashton and Iranian Foreign Minister Mohammad Javad Zarif opened the talks in the morning, with Ashton’s deputy Helga Schmid and Araqchi chairing the negotiations in the afternoon. Araqchi said the meetings were mainly for “exchanging views” to find common ground before the two sides work on a joint text. Iran and the 5+1 Powers opened talks on a comprehensive agreement last month in Vienna, following implementation of November’s interim nuclear deal. Interior Minister Abdolreza Rahmani Fazli has criticised “global inaction” regarding the abduction of five Iranian border guards by the separatist insurgent group Jaish ul-Adl in the Jakigour region of Sistan and Baluchestan. Earlier this week, a number of high ranking Iranian military officials were removed from their posts for “negligence” in response to their inability to free the kidnapped guards. The hardline “9 Dey” newspaper, which was shut down yesterday, was closed for publishing several articles claiming widespread firing of nuclear scientists and criticizing President Hassan Rouhani’s distance with the Supreme Leader’s nuclear policy, according to the official order by the Media Supervisory Board. Managing Director Hojjat al-Eslam Hamid Rasaei claimed that the media outlet was shut down “due to criticism of Hassan Rouhani’s administration” and wrote retorts to Head of the Expediency Discernment Council Ayatollah Ali Akbar Hashemi Rafsanjani (addressing him as “the administration’s primary supporters”), President Hassan Rouhani, and Islamic Culture and Guidance Minister Ali Jannati including quotes from each on media freedom. The newspaper is linked to the Endurance Front, which is at the forefront of the conservative challenge to the Rouhani administration. Iranian officials have harshly criticized UN leaders, including Secretary General Ban Ki-Moon, over reports this month that challenged the Islamic Republic over issues such as executions, women’s rights, and political prisoners. Larijani continued the campaign on Tuesday, rejecting the “3,000 accusations” of the UN Special Rapporteur on Human Rights in Iran, Ahmed Shaheed, and describing him as a “media actor”. Larijani has previously declared that “Ahmed Shaheed supports terrorism extensively”. Responding to Shaheed’s indictment of Tehran’s policies regarding the Baha’i religious minority, Larijani claimed, “We do not have anyone in prison for being Baha’i” and that “criticism” and “freedom of speech” is “prevalent” in the Islamic Republic. The Supreme National Security Council has filed a complaint against MP Mahmoud Nabavian over his criticism of the interim nuclear deal. The spokesman of Iran’s Atomic Energy Organization has said that, if nuclear talks do not progress, Tehran can quickly resume enrichment of uranium to 20%. Behrouz Kamalvand said Iran had suspended the enrichment under November’s interim nuclear deal “to build trust”. However, the Islamic Republic could resume “in less than a day; two-three hours”. Uranium enriched to 20% cannot be used for military purposes, but it may be further enhanced to more than 90%, which can fuel nuclear weapons. Under the interim deal, which came into effect on January 20, Iran agreed to dilute its 20% stock to 5% or to convert it to fuel plates.